So I used to make these all the time, my long time peeps will remember them, the last time I did them was 2009! They are something different! I had a lot of requests to make them again, so here they are! 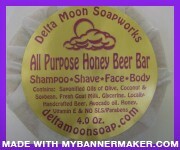 Each 5 ounce chunky bar has a VERY soft nail brush embedded into it. 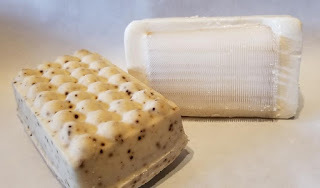 When you aren't using the soap, it stands on the bristles so doesn't get all soggy, and when the soap is all done ( take a while! ) you can use the brush as a soap dish, then when you need to scrub, it's already soapy! We make these in silicone molds so they unmold nicely. These fabulous bars are available in Lavender Mint with Cocoa Butter, Oatmeal, Milk & Honey with Shea Butter and original Orange Java. 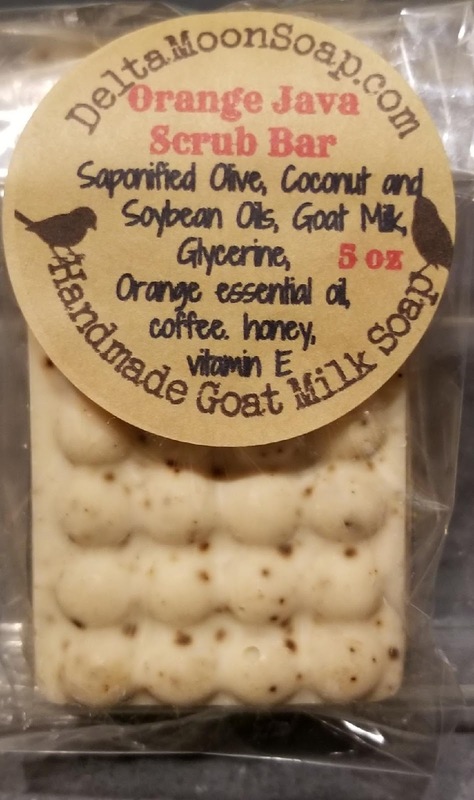 You will find them at our Farmers Markets and online! Enjoy! Those of you that have been customers for a very long time will remember these, they were last made in 2009! 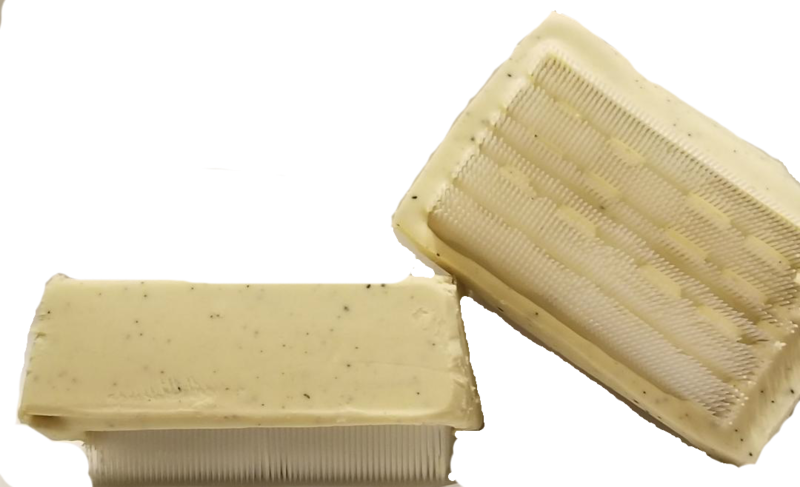 They are a big beefy 5 Oz bar of soap, with a soft brush embedded inside! The soap stands on the brush when not in use, so it stays dry, not sitting in water. They are still in the curing process but will be ready soon! There will be 3 scents; Orginal Orange Java, Oatmeal, Milk and Honey with Shea Butter and Lavender-Mint with Cocoa Butter. 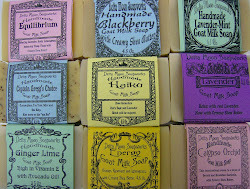 They will be available at all 3 of our Farmers Markets ( Concord, Pinole and Martinez) as well as the website www.deltamoonsoap.com and the Etsy Shop www.deltamoonsoap.etsy.com. Check them out! I seriously do love the new year, it's like a new day, it holds out so much promise, so much possibility! I love to set new goals, it makes me so happy to cross them off the list! 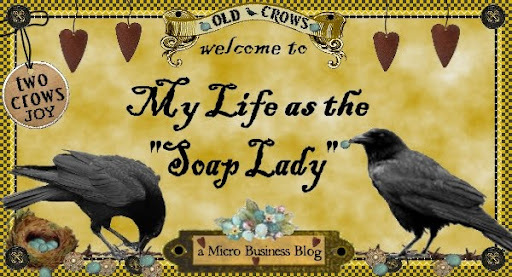 So far the only thing I have accomplished is updating my banner for the Etsy shop. I'm happy with it though, love the colors. 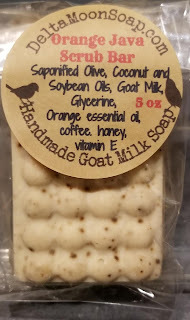 I will be adding soy candles to the Etsy shop and the website and will be bringing back the scrub bars too, for a limited run at least, more on that when I've got them made! The candles are always a huge challenge to keep in stock, so having them online will be an adventure! Happy new year! May all your goals be attained!